These are pancakes for breakfast only. 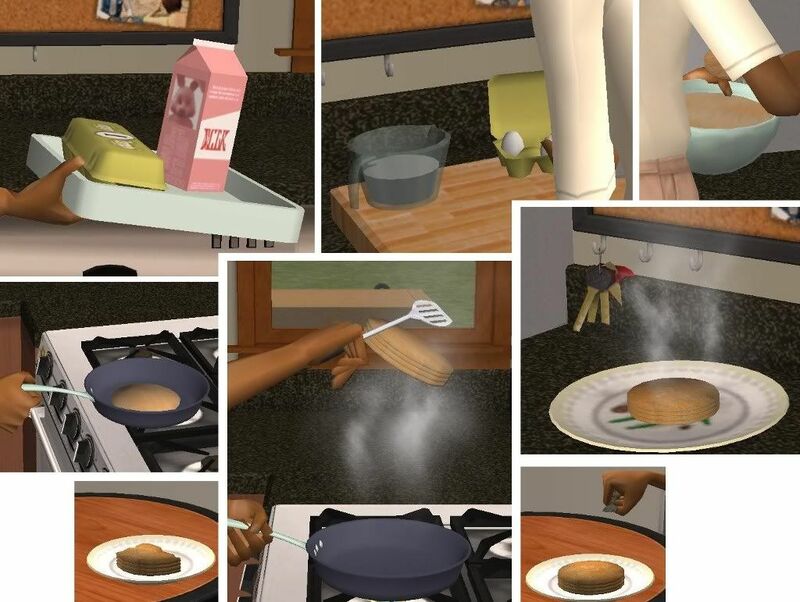 I'm sure something like this might have been done before, but this is my version, the meshes and textures are different ;-) They were cloned from omelets, so they require the same amount of cooking skill as those, also the sims will flip them just like omelets! All the morph states are included. Enjoy! Well it seems that sims can already make pancakes but they can't flip them and they are smothered with butter and syrup. So these look kind of like plain wheat pancakes to me, so I just renamed the file to plain wheat pancakes. In case you want your sim to eat healthy. Enjoy! Is it new? I actually was pretty sure it wasn't something they had because my sims do cook a lot and I never noticed it before. Then I noticed it's there in simPE, so not sure. Maybe it's a hidden food or something. I don't do a lot of unlocking things anymore, but some people do, maybe a cool modder could do that.